The red carpet has been rolled out at Parliament ahead of President Jacob Zuma’s State of the Nation Address on Thursday evening. Ministers, MPs and dignitaries have pulled out all the stops and are dressed to the nines. 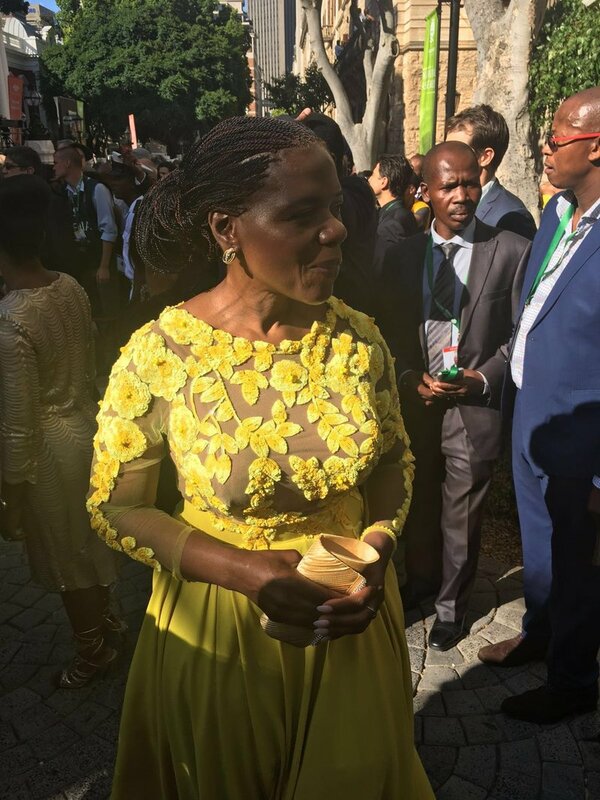 Like a ray of sunshine Public Protector Thuli Madonsela donned a beautiful yellow Gert-Johan Coetzee gown. Minister of Small Business Development Lindiwe Zulu in a design by her daughter. MP and grandson of former president Nelson Mandela, Mandla Mandela and his wife again opted for traditional wear. Here's what some of the country's ministers have decided to wear to the opening of Parliament. For all the fashion news from #SONA2016, follow @Jacatainment.